Updated Thursday February 14, 2019 by Winkler Minor Baseball. 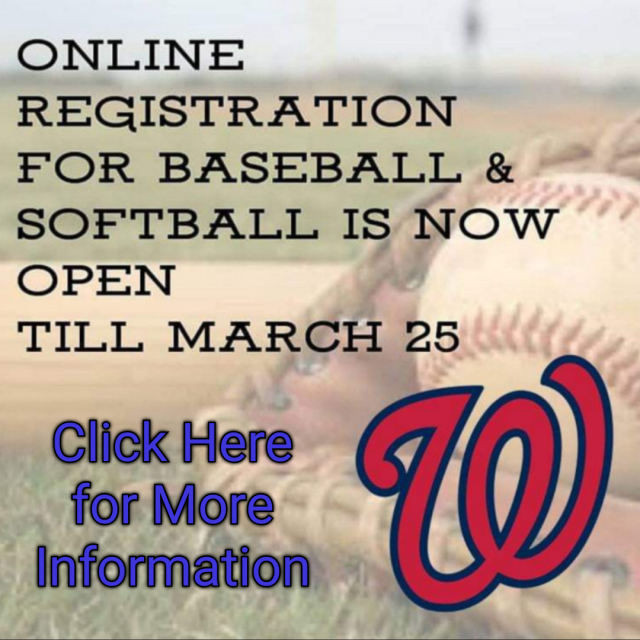 Online Registration is now open for all ages, until March 25, 2019 after which you will be charged a $40 late fee to register. If you would like to register in person we will have a table set up in the Garden Valley Collegiate entrance on February 25 from 6pm to 8pm. Rally Cap is for anyone born in 2013 and 2014, they play all their games at Winkler Elementary School. U8 girls softball is a girls only softball league open to girls born in 2011 and 2012. This league is similar to grand slam but will be open to girls who want to just play with girls. If we don't have enough girls sign up they will play with the boys in grand slam. If you have anymore questions feel free to email Cheri at johncheri@gmail.com text 204-332-1430 or anyone else on the executive team. Attached is the 2019 Registration Form with all the prices.